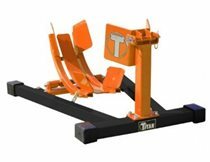 Titan's HDML-1500XLT-E electric/hydraulic motorcycle lift boasts 1,500 lb. capacity. 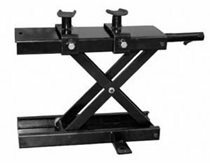 It is one of the largest lifting tables on the market today. Comes in black and gray. 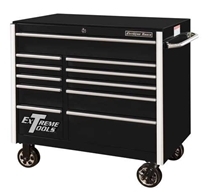 Fully equipped with extensions and accessories, this motorcycle lift table is great for working on larger and heavier recreational vehicles. 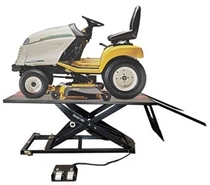 Its electric power unit gives the table a smooth and gentle range of motion while the hydraulic cylinder provides a sturdy and more reliable lifting function than other electric screw-style lifts. 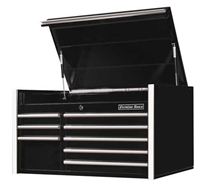 Since the 1500XLT-E does not require the use of compressed air, it is easier to put into a shop or garage without having to worry about running additional air lines to the area. 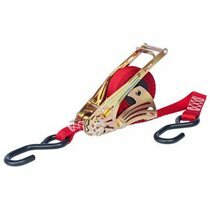 Automatic safety locks with six locking positions gives the user a variety of lifting heights while ensuring that they are safe and secure while working. 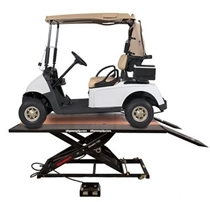 Built with heavy duty 12-gauge steel and durable powder coat finish, the Electric 1500XLT-E lift is a leading example that when it comes to Titan Lifts, there is Nothing Stronger. 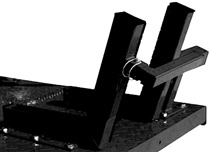 Table Length with Extension: 101"